Sometimes, less is more. The absence of certain qualities can be a positive thing - for example, a cafe that focuses on quality coffee, rather than one that sells tall skinny soy rotated twisted fruit infused concoctions, that if you close your eyes and concentrate, might even have some faint taste of coffee in there somewhere. 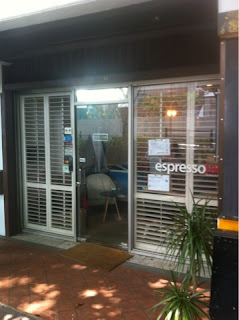 On Bali lane in Singapore, a quiet haven for quality coffee has appeared, in the form of EspressoLab. The first thing I noticed was the atmosphere - some cafes have it, others don't. 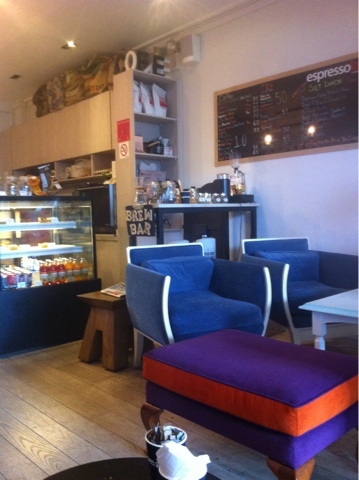 This is a laid back, bright and airy cafe, with light filtering onto a wooden floor. 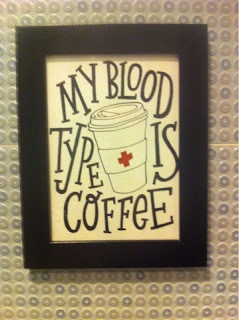 As always, I look for things that tell me about the owners intent and attitude towards coffee. 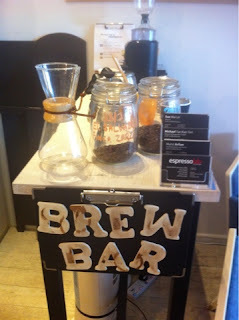 The brew bar was a good place to start, with a syphon, a Chemex Woodneck brewer, a French press and a Hario Buono pourover kettle all on display. What does this tell me? It indicates that a variety of brewing methods are being practiced, from the clean extraction coffees of the Chemex and syphon, to the more potent and full bodied coffees of the pourover and French press. It's also a good setup for a coffee appreciation class, in which various brewing methods can be used to highlight differences in coffees from around the world. This is a good start - it suggests that the intent is to expose customers to different types of coffees and brewing methods. Two different coffees - an espresso and a cappuccino - tell me a lot about the quality of coffee used, and about the baristas also. 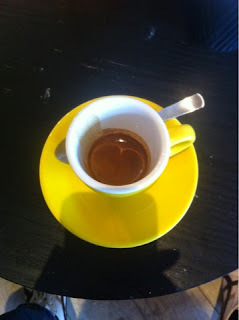 The espresso shot was akin to a ristretto - a small volume of espresso topped with a dark reddish brown crema. A combination of beans from Brazil, Columbia, Guatemala and Indonesia, it's certainly one of the more interesting shots that I've tried lately. It was certainly potent, with the initial intensity slowly giving rise to wisps of earthy flavours, which were reminiscent of malt or cherry. It was a well executed shot, and it was obvious that the roasting process was tailored to bring out the flavours in each of the different beans used. The cappuccino below arrived with some impressive latte art, with sharp, defined edges of milky white foam contrasted against a dark brown background. Silky smooth microbubbles added the required mouthfeel, and the correct ratio of milk to foam to coffee was present, so that all 3 combined perfectly. It was a little light though, with the double shot of espresso quite muted by the milk and foam - not all of the complexity of the espresso was evident. 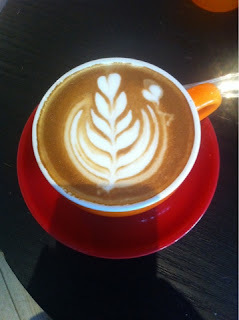 However, it's still a good, well executed cappuccino that I would have no problem ordering again. This is a good choice of cafe for lingering over a book with a cup of coffee to hand. The staff are friendly, knowledgeable about coffee, and contribute so much to the atmosphere - it's not something that every cafe can get right. Together with coffee, it's something that EspressoLab does well, and makes it worth a visit.